An interview with Wild Runner founder, Owen Middleton. When adventure enthusiast Owen Middleton noticed that beginners found trail-running events either too long or too difficult, it bothered him. 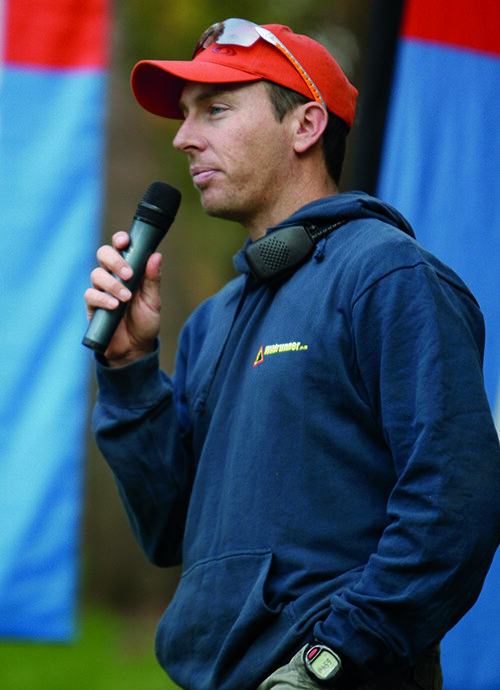 To rectify the situation, he set up the Wildrunner events company; and in 2008, he hosted his first event. Prime routes are selected, and we’re dedicated to running a professionally-serviced event, because we take our duty of care seriously. At our core, we are passionate about what we do, and the community we share trail running with. My dad tried everything, and when we were kids he included us in all of his adventures. For the exploring we did, my life is rich. The reason I run is to ensure I’m fit enough for any adventure. There was nothing for beginners: all the races in SA were long and tough. First, Wildrunner aimed to connect existing trail runners. Then we launched the Trail Series® in 2008, which opened trail running’s doors to newbies. The Trail Series® was the first short-course trail-running series in South Africa, and remains the only national series of its kind. The Wildcoast Wildrun®, launched in 2009, was the first three-day, linear, full-support trail-running stage race in South Africa. The Jonkershoek Mountain Challenge (JMC) was the first South African Long-Distance Trail-Running Championship event. This year, the Richtersveld Transfrontier Wildrun® will become the World’s first trail-running event that crosses a formal country border, and South Africa’s only five-day, 200-kilometre, fully-supported stage race. But it wasn’t all plain sailing. At our first event in Silvermine Nature Reserve, I sliced my shin open so deeply on a feather banner stake that it scarred. Our timing system had a glitch that took two days to resolve. In those days, it was just Tam (Middleton’s wife – Ed.) and me, with a little help from family, friends, and the staff from Cape Storm and Montrail. The key to our success was in keeping our routes inspiring and well-marked. At the end of the day, that’s what people come for. Organising an event takes effort, planning and time. It’s like a massive puzzle, with lots of small pieces that need to fit together seamlessly. The trails are out in the wild, in areas that are often unpredictable, so it’s important we have contingency plans in place – though in the wake of recent regulations, bylaws and procedures, that’s become harder to achieve. When we started Wildrunner, trail running was but a seed in South Africa. 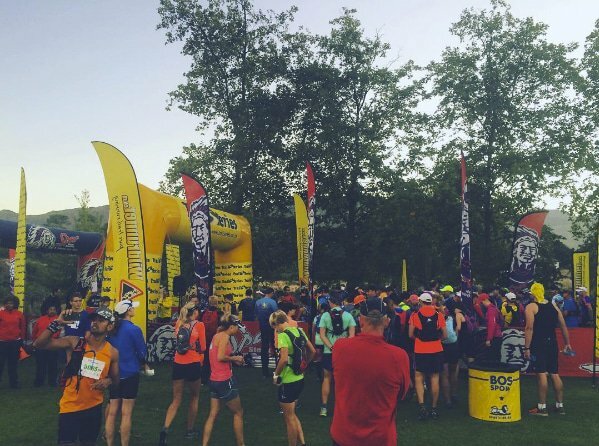 Because we’ve introduced a majority of runners to the sport, we’ve grown a community. We’re reliable and credible, which is why 86% of our participants are drawn to our races via word of mouth. My own running is consistent. At the moment, I run three times a week – which I’ll eventually build up to four – and a long run at the weekend. I live in Noordhoek and work in Westlake, so travelling over Silvermine Nature Reserve is part of my daily commute. I try to run on the trails often. I’ve just started training for my second Two Oceans this year, in preparation for my third Skyrun. Wildrunner sponsors entries for development athletes, and runs training programmes. Last year, Wildrunner donated over R250 000 to various community beneficiary projects, from the Cape Town Environmental Education Trust (CTEET) to the Spur Foundation and WWF-SA Run for Nature Campaigns. Close to my heart is a home for mentally and physically disadvantaged people on the Wild Coast, called iKhaya Loxolo (meaning ‘place of hope’). Every year, we encourage participants at the Wildcoast Wildrun® to donate towards this cause. Annually, we raise around R50 000.